All photography by Matt Glac, courtesy of Starbucks. 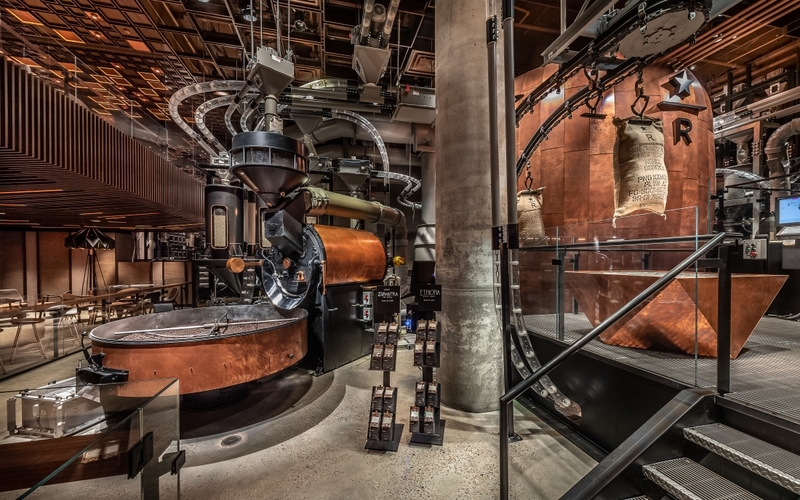 Starbucks has opened a sprawling 23,000 sq foot roastery in New York’s Meatpacking District, complete with overhead pipes carrying coffee beans and a 10-foot tall copper siren sculpture. The Big Apple outpost is only the fourth to open worldwide and has been in development for over two years. 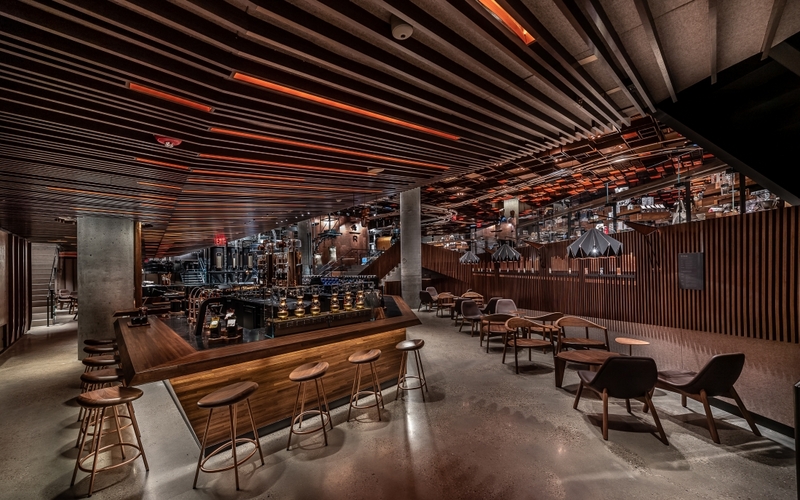 The concept, featuring the largest fully-operational coffee roasting plant on Manhattan, encourages customers to interact with roasters and baristas to get familiar with the roasting and brewing process. 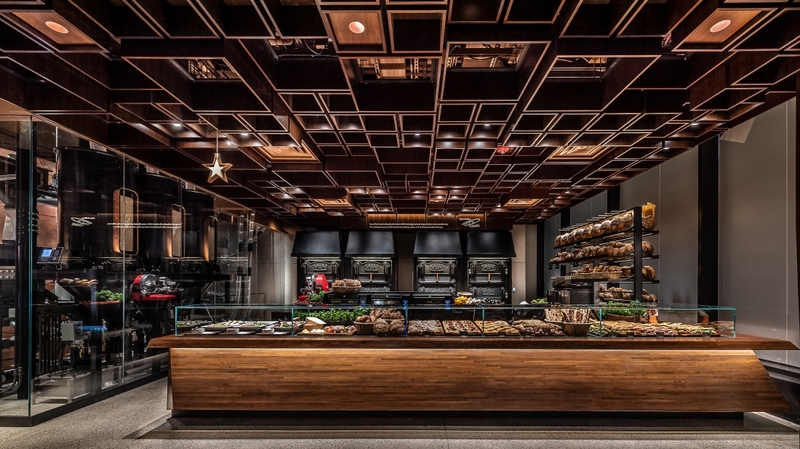 In a project overseen by Liz Muller, chief design officer and senior vice president of Starbucks, the expansive three-level space offers two coffee counters, a cocktail bar and a Milanese Princi bakery, as well as a terrarium at cellar level. The roastery is situated between Chelsea Market and Google’s New York offices and takes up the ground level of a modern, corner office building by Uruguayan architect Rafael Viñoly. 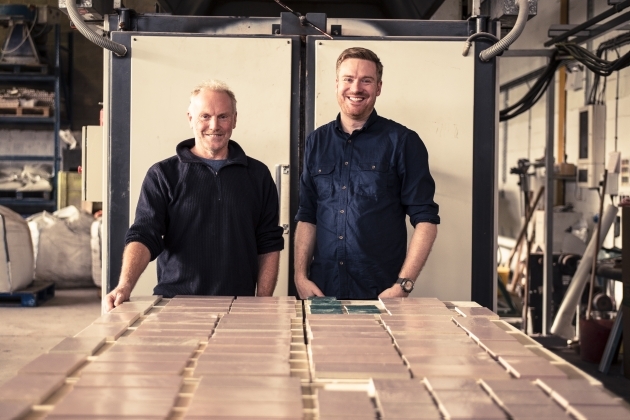 "The really striking quality of the building itself is that it’s made up of these beautiful, rigid, squares and rectangles, pushed and pulled. Where they are pulled in it becomes a terrace and it makes these little gardens. 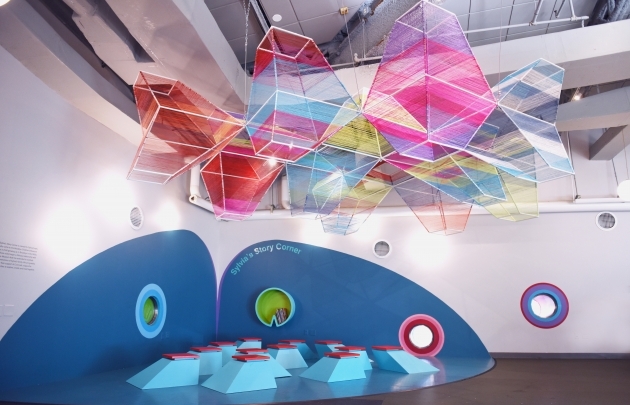 We fell in love with the geometry of the building and riffed off that idea," said Jill Enomoto, a design director at Starbucks. At the heart of the roastery is a 30-foot hammered copper cask, made and installed by architectural metalwork firm A. Zahner. The cask holds freshly roasted coffee beans that need to rest before use. The beans travel through subway-like pipes suspended from a ceiling made up of thousands of squares and rectangles, designed to echo the building’s exterior. 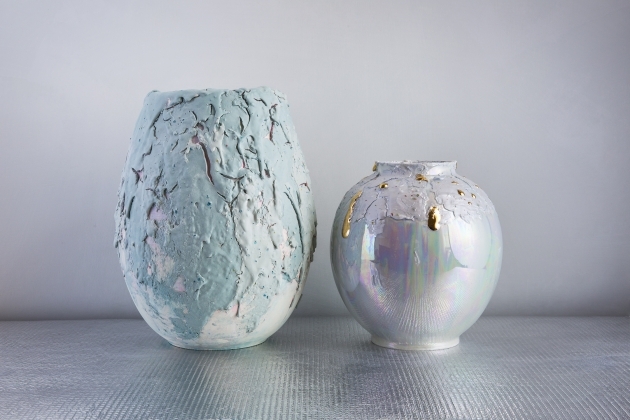 Inspired by the history of manufacturing in the neighbourhood, interiors feature soft lighting, dark wood, brown furnishings and concrete floors set against copper accents. Longtime collaborator BassamFellows has designed a set of exclusive walnut furniture for the roastery. 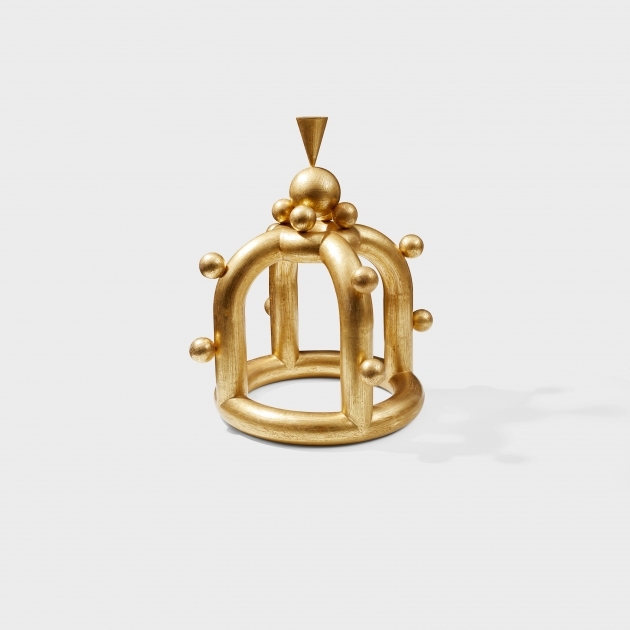 "It’s beautiful furniture with a classic yet modern American style - and also sturdy," Muller said. 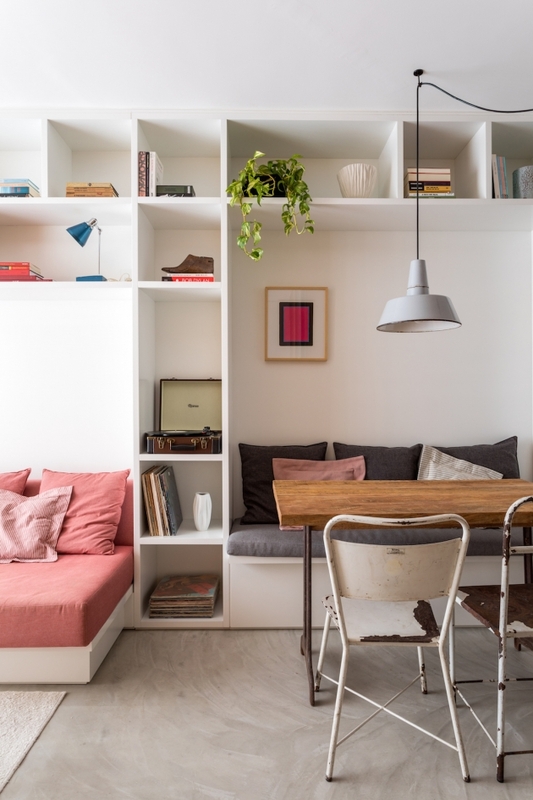 "The furniture has to look great but also perform like a truck. 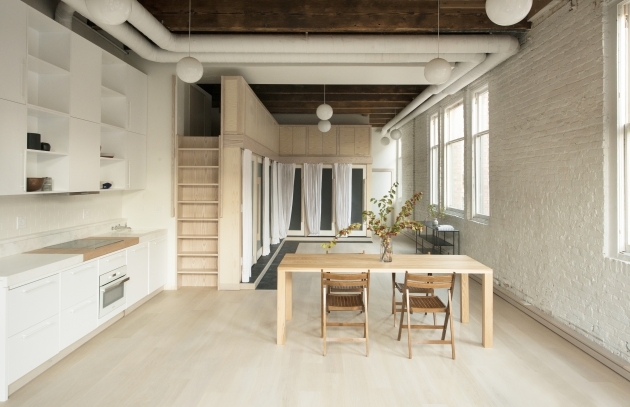 It’s perfect for this location." 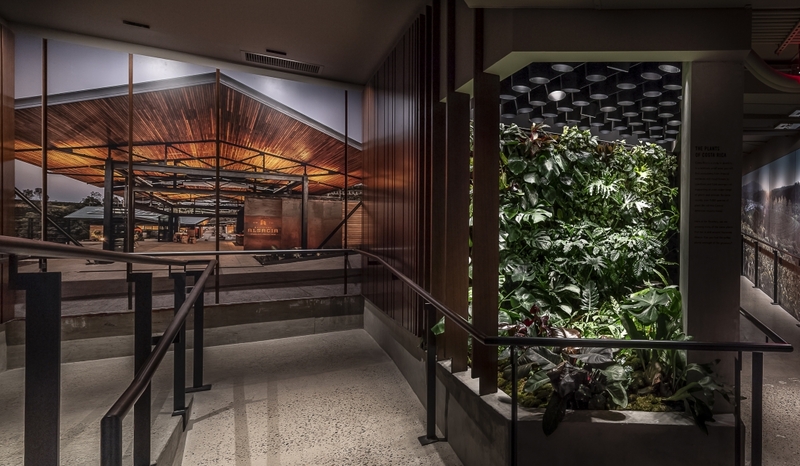 The Starbucks coffee farm in Costa Rica was the inspiration behind a cellar-level terrarium. 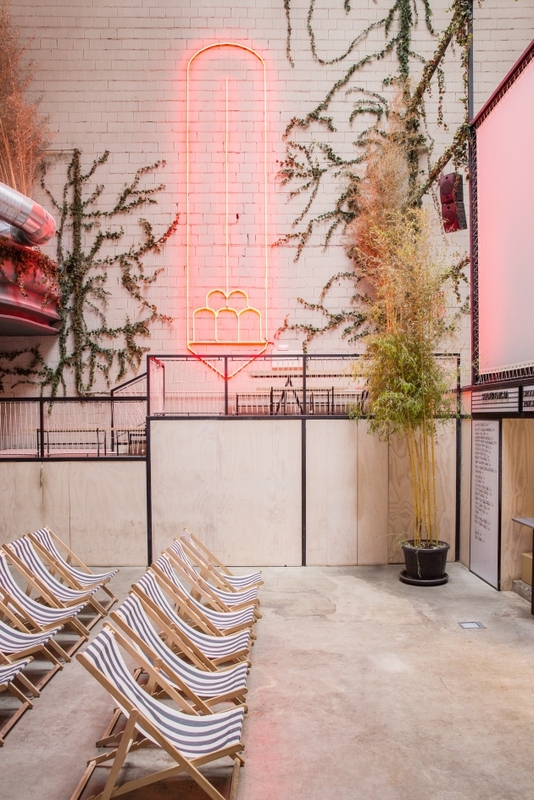 A team from Furnish spent six months curating and cultivating a selection of plants, including coffee plants, ferns and philodendrons common to Costa Rica. 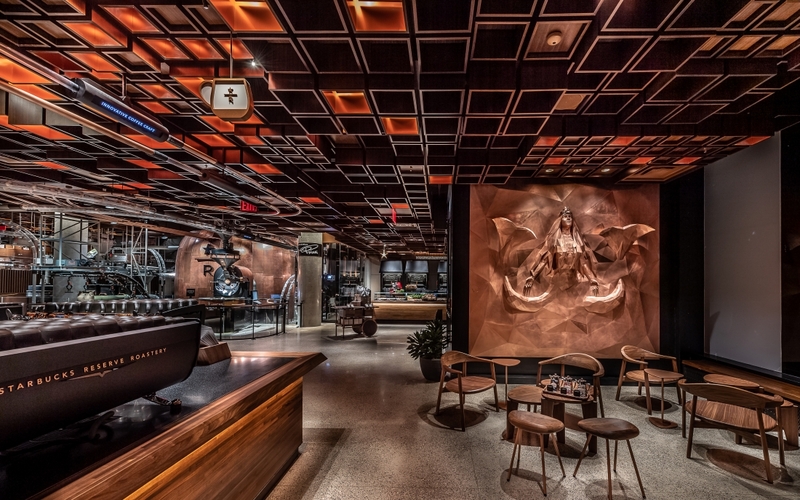 In the main roastery area, visitors will see the work of Brooklyn artist Max Steiner, who has created a 10-foot, 2,000-pound copper two-tailed siren that appears to be emerging from water, echoing the Starbucks' logo. 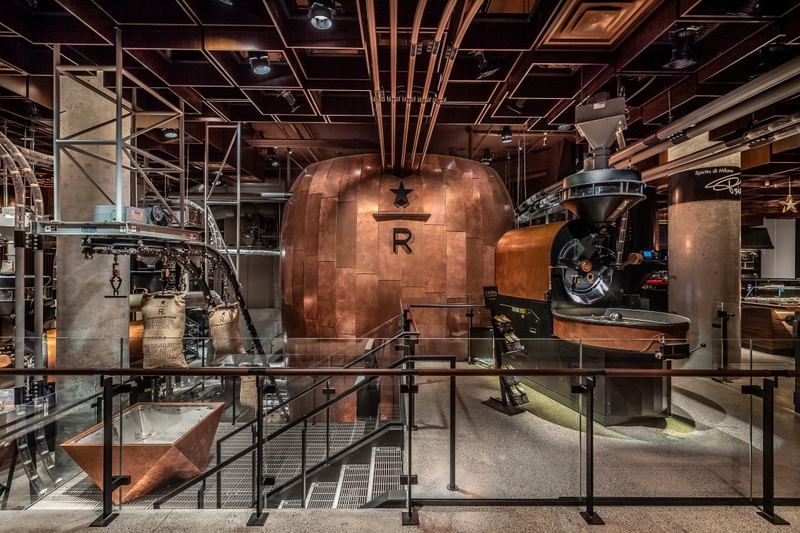 The New York roastery is the fourth for Starbucks, following Seattle, Shanghai and Milan. Openings in Tokyo and Chicago are scheduled for later this year.